4 countries, 5 cities, 33 days and 14 flights later, I have triumphantly returned to the good ‘ole U.S. of A., and let me tell you, and it feels damn good. Don’t get me wrong, the trip was fantastic, but the subtle stresses of international travel were beginning to take their toll. I’m happy to be home. I landed in Turkmenistan just before midnight with a printout of instructions our client had sent me via email. Take the bus to the right, enter a room, check-in, wait for driver, etc. Much to my amazement, the instructions were as accurate as a nerd in a spelling bee. I couldn’t believe it. I waited for an hour or so in the CIP lounge – as a commercially important person – eating fruits and nuts and eavesdropping on fellow English speakers that were discussing the upcoming Turkmenistan Oil and Gas Exposition, an annual three day networking/showcasing event that clogs Ashgabat’s hotels and brings a whirlwind of energy into the city. Since all the major hotels were full, I stayed at the Margiana Guesthouse near the northern edge of the city. The accommodations was quaint and the food was better than average, yet without a business center or Internet access (hence the delayed post!!!) I was rendered incommunicable. The satellite TV in the room picked up over 800 channels though from all corners of the globe – that takes channel surfing to a whole new level. My brother would have gone bonkers. Saparmurat Niyazov, president until his recent death in 2006, has been criticized as one of the most repressive and totalitarian dictators of his time. He was a wacky dude, engaging in various cult of personality reforms like renaming the calendar months after his family members. He also authored a book, the Ruhnama, which served as the spiritual guide to Turkmenistan. At one point, an exact knowledge of the text was required to apply for a driver’s license. Anyone who read the book three times, Niyazov claimed, was guaranteed access to paradise. The book has been translated into over 40 languages. Turkmenistan holds the world’s 5th largest natural gas resources and also has substantial oil deposits. 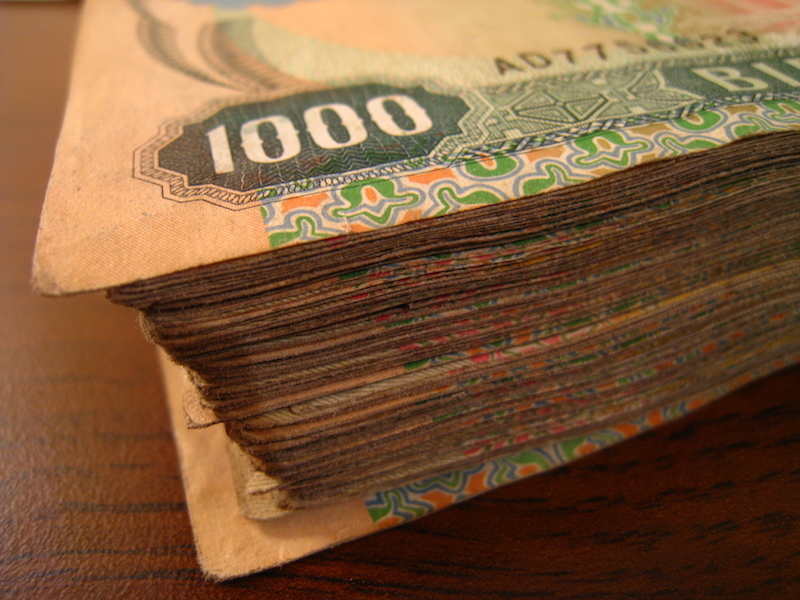 The first day, I met with our client to get a sense of what it was like to live as an expatriate in Ashgabat. What a brave dude. We discussed the quality of goods and services in the city and how all communications are monitored. He assured me that my guesthouse was one of the few places that was not bugged with microphones. Uh huh. I met the next morning with his wife, who needed to shop for a wedding present, and she let me tag along while we chatted about expatriate life from the spouse’s point of view. 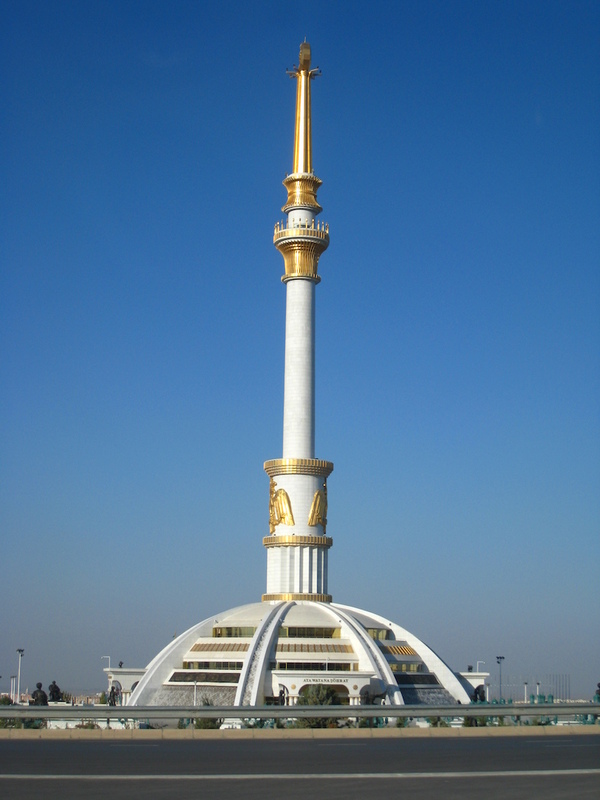 Ashgabat is gorgeous. Wide, mirror-clean streets that shine at night; beautiful marble facades; mountains in the distance. Behind the impressive asceticism, though, lies a weak infrastructure and a fledgling government, one that makes it difficult for outside investors. Granted, I was only in the country for a few days, so my opinion shouldn’t be taken too seriously, but I really think Turkmenistan has a lot of potential. The country has no enemies and sits on a (for lack of better words) buttload of resources. I blind-called a contact that the last surveyor from my company had used for translation help and ended up meeting him for a traditional Turkmen dinner. Bayram, at 29-years old, was a pleasure to talk with, and I ended up getting along with him instantly. Throughout my trip, I was introduced to his friends and chaperoned around the city, making for a more personal experience. We checked out the Oil and Gas Exposition, and since Bayram used to work for a major gas company, we scored a bunch of free schwag. I learned how to play Narde, a variation of backgammon, visited Turkmenistan’s many bazaars, and got to see what life in Ashgabat – the city of love – was all about. After a minor dilemma with hotel payment (long story), I departed for the Ashgabat airport at 3am. My flight plan was Ashgabat>Istanbul>Frankfurt>Boston, but due to some confusion with whether my bag was being checked through or not, I missed my flight in Frankfurt. Luckily they had a later flight to Boston through NYC, and I was even given €10 for lunch by the Lufthansa rep. LUFTHANSA AIRLINES IS FANTASTIC. 32 hours of traveling, and I was back home, snug in my 4th floor apartment bed. The trip was eye-opening to say the least. I learned a lot about self-motivation and how to better operate as a surveyor. What a perfect time to come home. There’s nothing more American than Thanksgiving dinner. Yummy. Until I leave again in late January, I’ll be enjoying my time in the states and braving my first Boston winter. Stay tuned. Previous Previous post: To Ashgabat!